Olson 30 Rudder Bearings are friction fitted into the rudder tube that is glassed into the boat. There are two bearings, an upper and a lower. As these are friction fitted, care should be exercised when trailering the boat with the rudder removed from the boat, I lost the lower one several years ago! 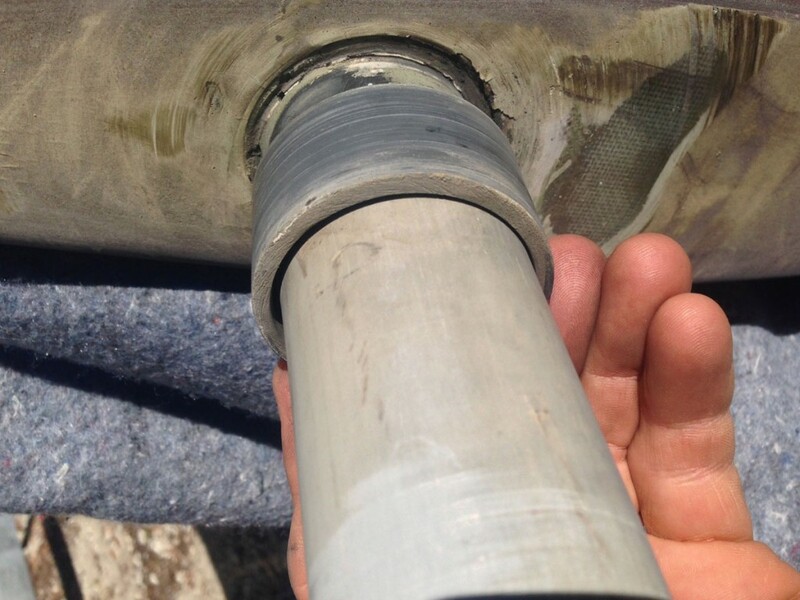 To remove the bearing, you will need a tool that can be inserted in the small horizontal gap between the rudder tube and the bearing and then moved around the circumference of the gap as you light tap it out. Bruce Rand, from O’Naturel put me onto the Old Forge 7019 – Puller Seal L-Type which retails for about $13.00, it does the job quite nicely! 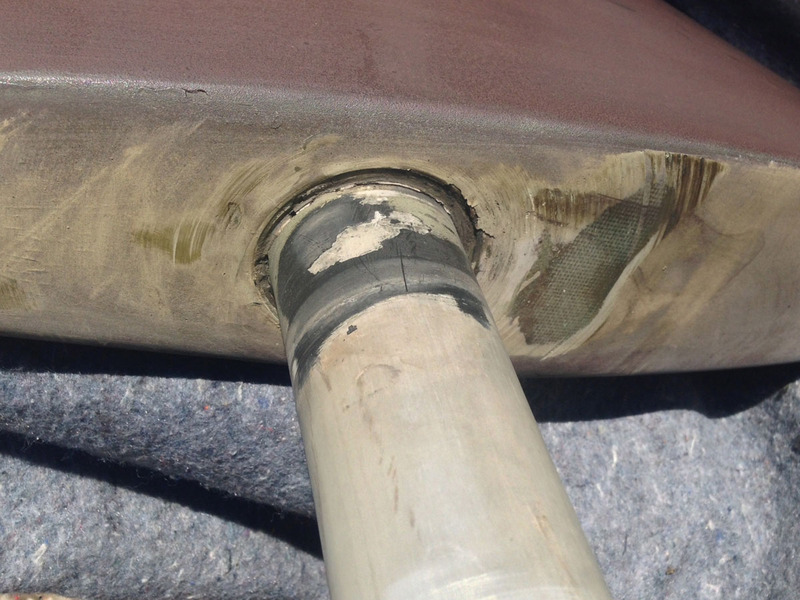 Plastic rudder bearing are friction-fit into rudder post tube in hull, but when worn out the bearings can be so loose-fitting that they fall out of the tube. Note gap between bearing and rudder post. With bearing removed from post, inspect post for deep scoring. Rudder post can be resurfaced. Stock Olson 30 rudder post is made from pultruded fiberglass rod which is extremely robust. Stainless and carbon posts have been used also.